A court in Khulna on Thursday afternoon convicted 10 people and sentenced them to life term rigorous imprisonment for killing a college student. 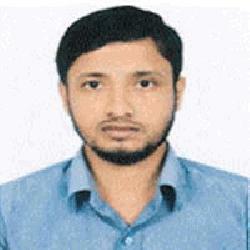 Khulna Speedy Trial Tribunal judge M A Rob Hawlader handed down the verdict, reports a Bangla news portal. The same tribunal fined them Tk 10,000 each, and in default, they will have to suffer one year more in jail. The lifers are Nabir Hossain, Tabibur Rahman, Aka Mia Sheikh, Khaza Mia, Bulu Mia, Osikar Sheikh, Chand Mia Sheikh, Monir Sheikh, Ehia and Kamal Sheikh of Kumirdanga village in Terkhada upazila of the district. The tribunal, however, acquitted two accused-- Sultan Ahmed and Abbasur Rahman-- from the murder charge as they were found not guilty. According to the prosecution, the convicted beaten Terkhada Bangabandhu College student Sheikh Badruddouza to death on September 13, 2009 over a trivial conflict. Later, victim's brother Sheikh Asaduzzaman filed a case with Terkhada Police Station in the connection.